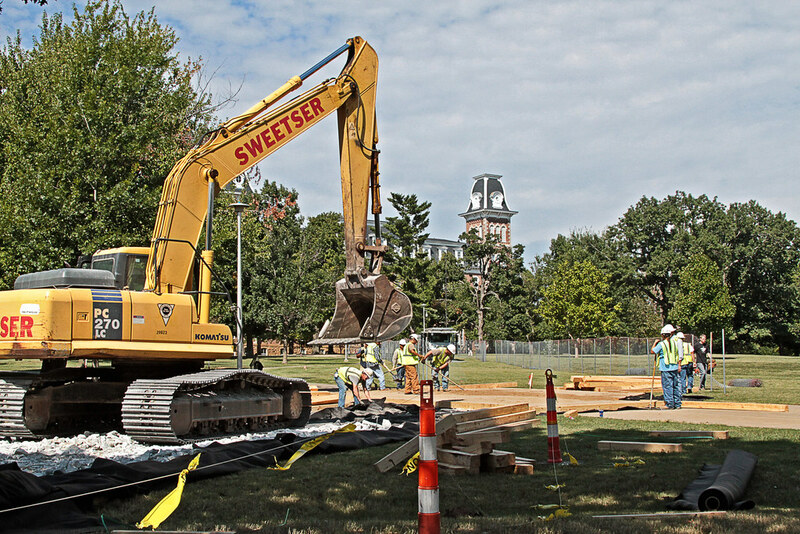 Crews lay gravel for a temporary service road through Old Main lawn Wednesday afternoon. 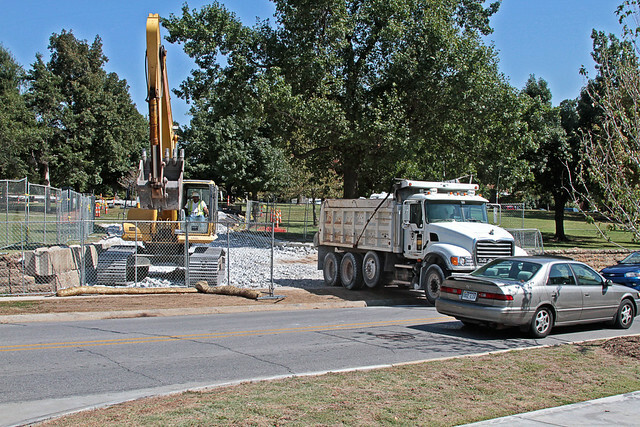 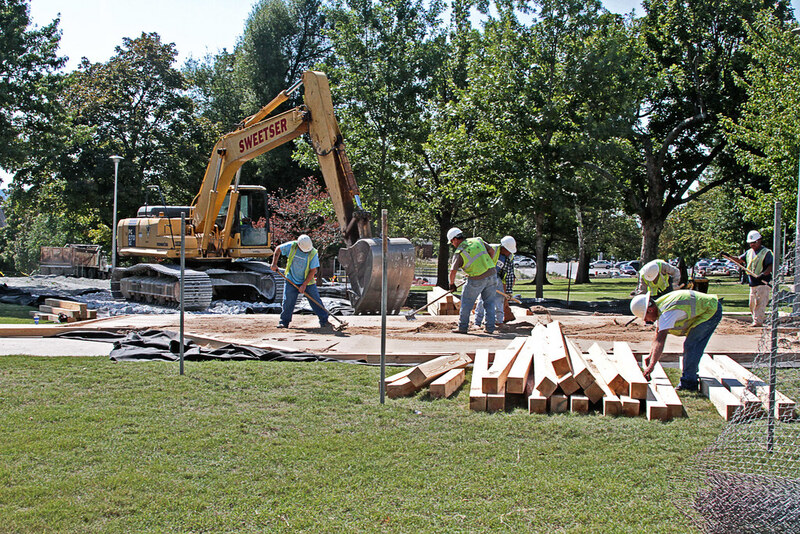 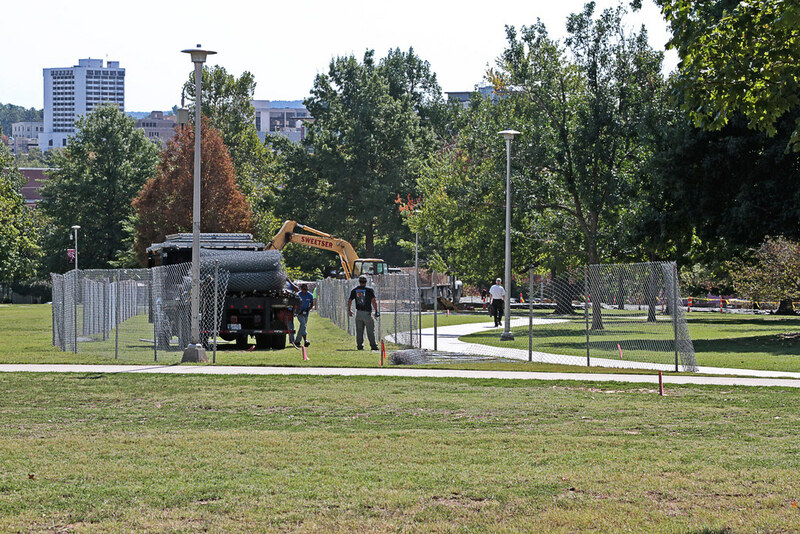 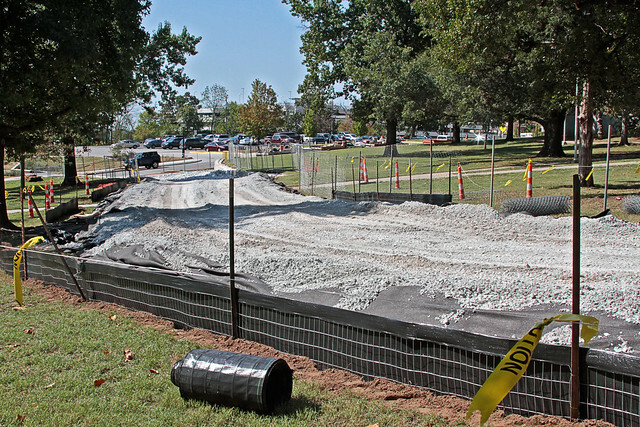 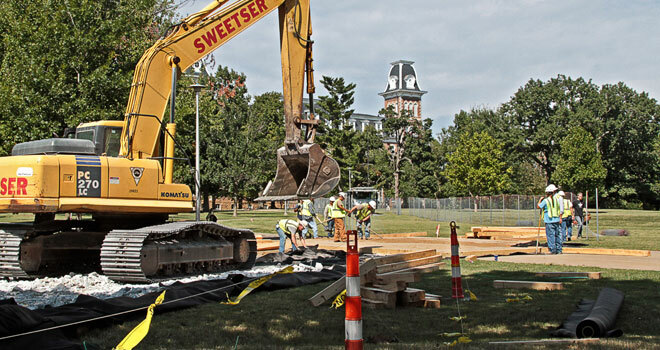 Workers continue to make progress on the construction of a temporary service road through Old Main lawn on the University of Arkansas campus. As of Wednesday afternoon, fences were built and gravel was laid across nearly half of the area of lawn that the revised plan calls for. 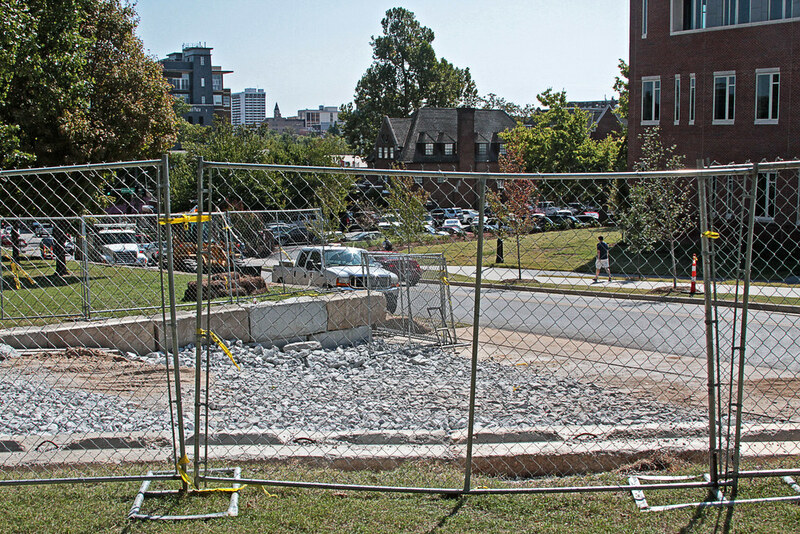 Crews removed stones from the rock wall along Dickson Street in early September and are now working to complete the gravel path that will allow for the delivery of construction supplies to a planned $60 million renovation and expansion project of Vol Walker and Ozark halls. 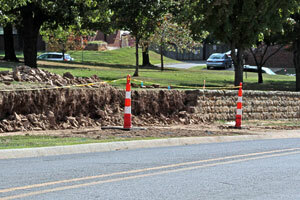 The service road is set to be in place for the duration of the renovation which is scheduled to last about two years. 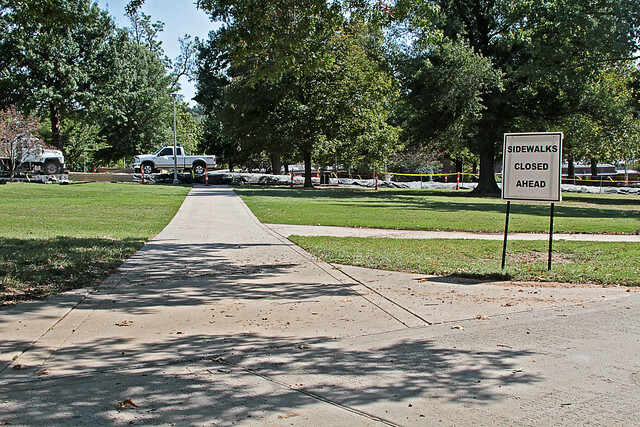 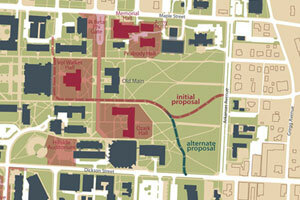 The areas of Senior Walk that will be obscured during the construction period are being covered with protective material until the construction and renovations are completed, said UA Chancellor Gearhart earlier this year. 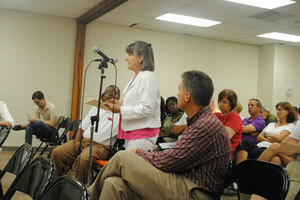 Here are a few photos taken Wednesday, Sept. 21, 2011.